We started Phillips Law Offices with a simple but radical idea. We were not interested in “the way things have always been done” in the legal profession. Instead, we care about what’s best for our clients. We know you have a lot of choices in choosing your lawyer, but when it comes to choosing a law firm whether it’s for an injury claim or immigration matter. Bigger is not always better. Why? Traditional law firms use a business model like a pyramid, with multiple levels of bureaucracy and inefficiency. Perhaps the most significant difference between a small personal injury law firm and a large one is the attention and communication that you are likely to experience. At “big law”, there is a good chance you may never even meet the attorney who is technically handling your case. At the Phillips Law Offices, you’ll never be treated like a claim number. We pride ourselves in providing exceptional personal service. We Are Your Online Web Based Law Firm. Is it inconvenient for you to drive to a law firm? Meet Michael Phillips, personal injury attorney and founder of Phillips Law Offices. We serve clients in the Gold Country and Sierra Foothill communities from Sacramento to the Oregon border. Now a great attorney whether it is for immigration or personal injury is never more than a mouse click away! Phillips Law Offices is built for you: We strive to bring an extraordinary client experience to individuals and families around the region. Meet with Michael Phillips when it’s convenient for you by video conference. (Michael is still glad to meet in person at our three office locations in Sacramento, Roseville and Nevada City ) You may access your client file on our awesome "bank grade" secure client portal 24/7. Many law firms don’t understand that e-mail isn’t secure, but we do. We provide our clients with secure and convenient online communication and collaboration tools they’ve come to expect from their lawyers. Communication and collaboration is the foundation for a successful outcome. Now you don't have to wait to come into a lawyer’s office. Whether its video conferencing (It's easy!) or chats by phone or on-line, questions are answered - fast. ( And if you prefer, you can can always schedule in person meetings too.) At the Phillips Law Offices, you work directly with Michael Phillips. You will never be handed off to an assistant or junior lawyer. Not sure if you have a case? Are friends and family telling you to call a lawyer? Are you starting to be suspicious about the insurance adjuster you’re dealing with? Call us or click here to email us — we offer free, no obligation consultations. Have questions? We are happy to talk with you about your situation and your concerns, and how we can help you though this challenging process. It’s easy — just give us a call. When someone is seriously injured in any type of accident it is a tragedy, but when the injury or death could have been avoided because of someone else’s negligence, it's unacceptable. Although, large personal injury firms have their place and can accomplish good results, they may not be for everyone. We are a small trial litigation firm, that limits the number of cases at any one time, so that we may provide supportive and personalized service. If you want your case handled by the attorney in the 'firm name' and not an associate or legal assistant, feel free to give us a call. "Personal injury" is basically a term that refers to an entire group of injuries that happen to a person's body - not property. This also covers the mind and emotional state of a person. It helps to think of it as an umbrella over a whole host of injuries to the body, from dog bites to slipping and falling. The general categories found below cannot possibly cover the range of personal injuries, so we invite you to call our office with your questions at (530)265-0186. California’s Internet Based Immigration Law Firm: Now your internet connection is all you need…. Is it inconvenient for you to drive to a law firm? Meet Phillips Law Offices. From our office in the Sacramento area, we serve clients across California, United States and around the world. Now a great immigration lawyer is never more than a mouse-click away. Communication and collaboration is the foundation for a successful outcome. Now you don't have to wait to travel or come into a lawyer’s office. Whether its video conferencing (It's easy!) or chats by phone or on-line, questions are answered - fast. We handle family immigration, immigrant visas, non-immigrant visas and naturalization matters. Our Practice: We embrace technology and innovation at every turn. We constantly ask how we can use new tools to improve our clients' experience. We borrow from disciplines like Agile project management to challenge the way law is traditionally practiced. Our personal injury lawyers provide unparalleled service to clients. 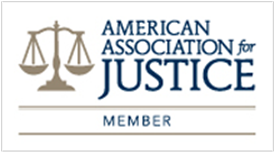 BBB A+ rating, AVVO Superior 10 rating and National Trial Lawyers Top 100. "client centered' practice where technology is leveraged to provide superior client service.